Remember this scene in Finding Nemo? For some people, ‘Don’t touch the boat’ is a mantra to live by. For me, rules are made to be broken. 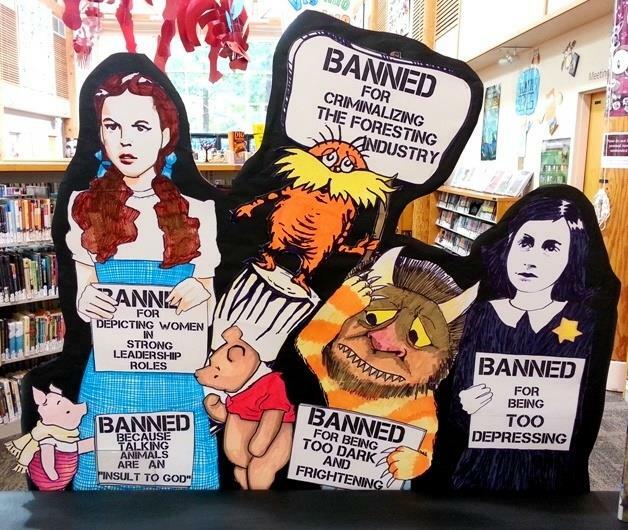 Naturally, I’m celebrating this most important week of the year – The Banned Books Week. (September 23-29, 2018). One my friends was raving about the book The Hate U Give recently. This YA novel scored the number 9 position on the American Literacy Associations’ 2017 list of most challenged books in schools. I immediately put a hold on it at my local library. If it resonates, I will buy a copy of it like I did Alexie Sherman’s book The Absolutely True Diary of Part Time Indian. Ban a book? I will start looking for it. Tell me I must do one thing or cannot do another? I will test those limits, test anyone who wants to censor my contrary behavior. During this important week in the world of literacy I’m grateful for ebooks. The delivery steamy stories that never appear on the shelves of my local library, stories I’m sure my high school librarian would forbid me to touch. Are you a ‘don’t touch the boat’ person? Or do you like exploring forbidden worlds? Has your defiance ever got you into trouble?